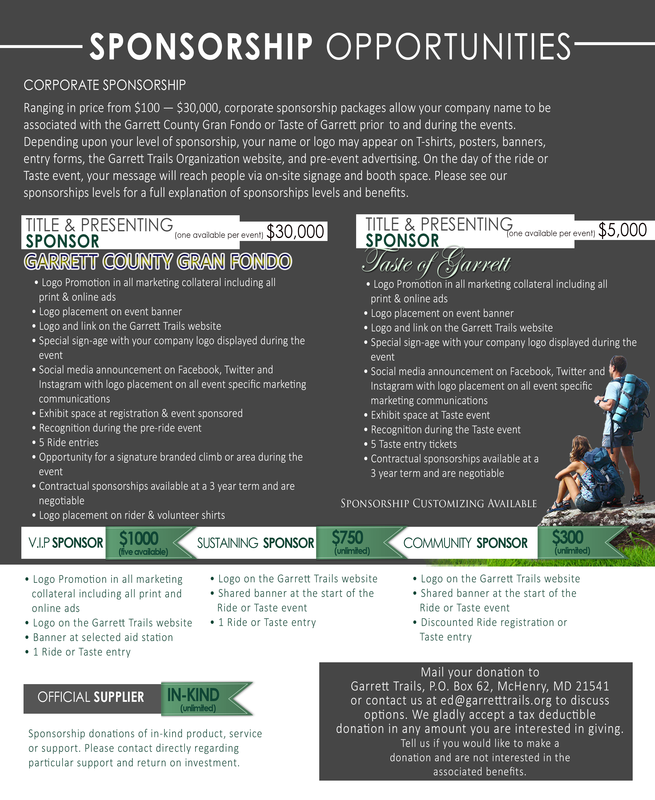 Show your support for trails in Garrett County, MD! 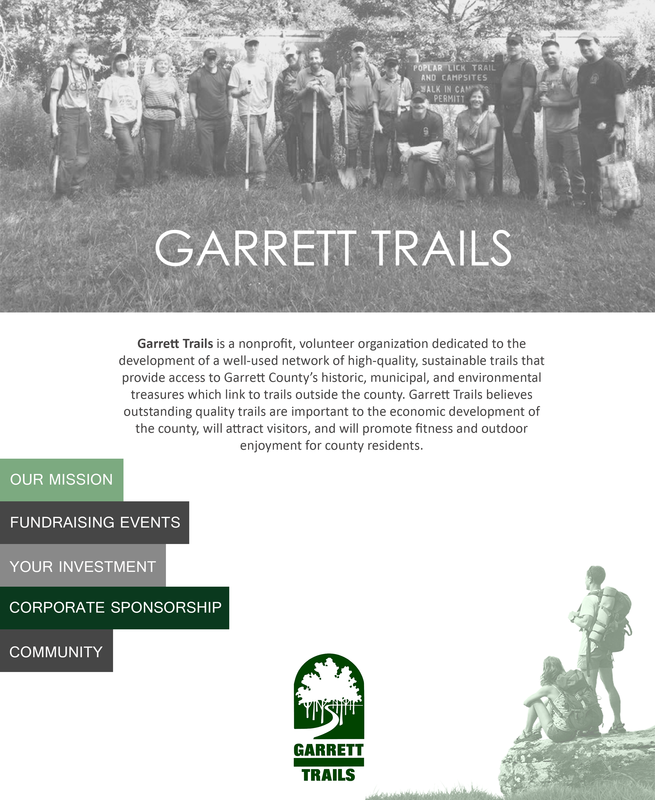 When you show your financial support for Garrett Trails you become part of a distinguished group of people dedicated to creating, maintaining and enjoying the Garrett County Trail System. 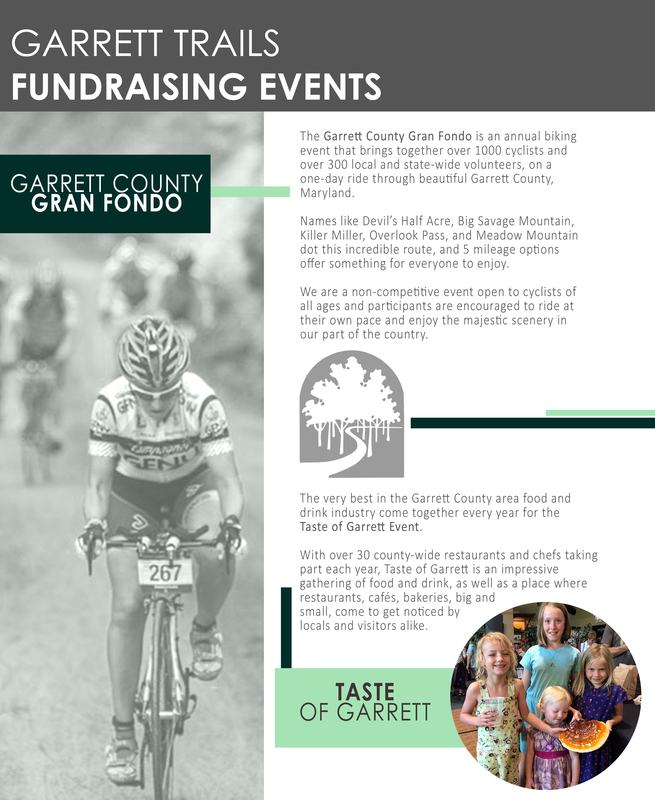 It is through supporters like you that Garrett Trails organizes volunteers, provide hiking and biking days, and garners donations and financial support. Thank you for taking your time and resources to help in the development of a large network of people who care about trails in the county. 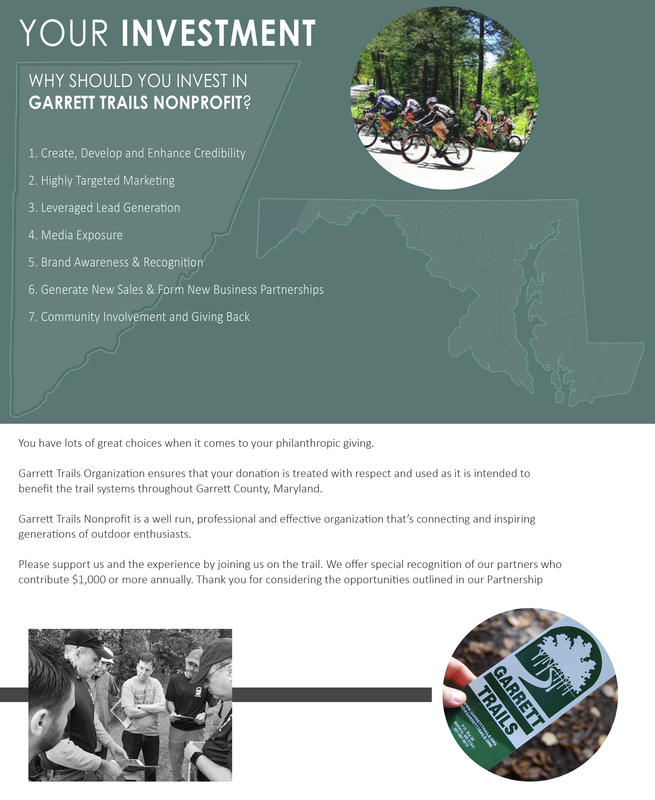 Mail your donation to Garrett Trails, P.O. Box 62, McHenry, MD 21541 or contact us at staff@garretttrails.org to discuss options. We gladly accept a tax deductible donation in any amount you are interested in giving. Tell us if you would like to make a donation and are not interested in the associated benefits.